Barter, swap ads in Brisbane. Thank you for visiting our free advertising website Barter, swap, Brisbane section. We provide high response free classifieds and free advertisement. Use our online free Barter, swap classifieds placement system to find, list, offer Barter, swap online! Floral Pins fix materials to flower or foam for floral design Floral pins are U-shaped floral wire. They are widely used for floral design, such as fix silk and dried flowers, fix floral moss to foam, and attach materials to wreaths for decorations. 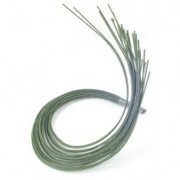 Materials: green painted low-carbon steel wire and Galvanized finish wire. i am a very experienced painter finisher with exp in texture and render applications as well as general painting from repaints to new work including renovations, i am also a competent handyman for minor building projects and renovation work who does carpentry, tiling, plastering and the painting of such. Australia free ads for Barter, swap, Brisbane, Barter, swap free ads Brisbane, Barter, swap for sale Brisbane, Barter, swap to buy in Brisbane. Find on this page free classifieds for Barter, swap in Brisbane. This listing includes classifieds for sale and to buy in Brisbane. FREEADSAustralia Brisbane offers you a platform to post free advertisements or classifieds for Barter, swap in Brisbane. FREEADSAustralia helps you search, find buy, sell, rent or hire in various categories like apartments, goods for sale, local services, cars , jobs and many more in Brisbane. If you posted an advertisement in category Barter, swap of FREEADSAustralia Brisbane before please use Edit my ads button to change or cancel your ad. Barter, swap Brisbane ads Brisbane, Barter, swap classifieds Brisbane, Barter, swap free ads Brisbane, ads for sale Brisbane, ads to buy Brisbane, FREEADSAustralia. Find here ads for sale, to buy and rent in Brisbane. Goods for sale in Brisbane, vehicles for sale in Brisbane, Brisbane real estate for sale, Brisbane property for sale, property for rent in Brisbane, business ads in Brisbane, Brisbane business classifieds, services in Brisbane, Brisbane services ads, jobs in Brisbane, pets for sale in Brisbane, Brisbane dating, Brisbane cars for sale.